* A tennis clinic is a group lesson with 4 or more players that will work on skills to play singles or doubles. * Players are visual learners and learn by seeing others execute skills. * Players like to social and enjoy the team spirit of clinics and the ability to meet other players of approximately the same skill level. * Players are able to meet other players to practice with outside the clinic to improve their games. * The cost for a lesson is less in a clinic as the lesson fee is divided by the number of players in the clinic - therefore the players can afford to take more lessons with the pros at a reduced rate. What is a Semi-Private Lesson? * Semi-Private lessons are the sharing of the lesson with another person. * This reduces the price of the lesson for each person, enables the students to get feedback from the pro as they play against each other. * This lesson allows the students to share and remember information that an individual might not recall. * Players can see the other person perform a skill and learn as they see what is being described by the pro. What is a Reserved Clinic? * This clinic is time reserved by a set number of players - usually 3 or 4 to train with the pro. * The cost is divided by the number of participants and they train as a team or a weekly or set number of times each month. * Skills are usually geared toward doubles match play skills. * A private lesson is a one on one experience with your pro. * A private lesson provides individual attention to your personal game's growth whether it will be on strokes, strategies or the mental aspects of the game. What is a Drop-In Clinic? * Players do not have to pre-register for the clinic but are able to just show up at the designated time to participate. * A drop-in clinic is a group lesson with any number of players that will work on skills to improve their play, singles or doubles. * Some time will be devoted to developing skills, drills and games during the class by the pro. What is a Series of Lessons? * When you buy a series of lessons with your pro, you can save money. * Series are typically sold in packages of 4 or 6 lessons and should be used within a year. How do I book a Private Lesson or Clinic at SCVCC? * You can call the tennis office and ask to speak to the pro you may have in mind based upon information in the tennis brochure. * Ask the Director of Tennis for a reference as to who to book a lesson with that best suits your needs as a player. Northern California tennis club to achieve PTR National Club of the Year, and yet another to USPTA NorCal Club of the Year. This experience also lends itself to Ken’s approach to managing a multi-use facility. He believes in a balance of court time for social matches, league play, lessons, clinics, and social events. 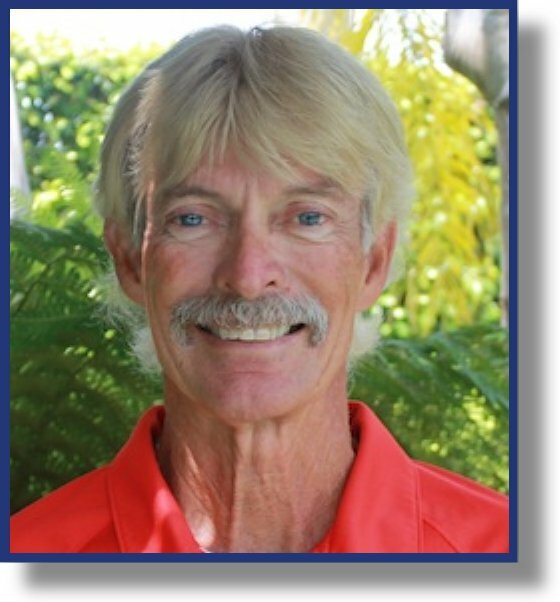 He is USPTA 2 certified and has published articles in various magazines such as Tennis journal and Tennis world. in many ways. He has been a professional ski instructor for over 20 years and teaches skiing at Sugar Bowl. He also repairs and flies airplanes; he is both USPTA and PTR certified Pro; he is PTR Junior Development Coach; and he is the leader in the San Jose area in Red, Orange and Green ball tennis for kids 12 and under. Al is always learning. He has trained with Emilio Sanchez at his "Spanish Way" Academy in Florida, and is certified in the “Pat Etcheberry” fitness training methods and constantly attends USPTA, USTA and PTR conferences to keep abreast of what is on the cutting edge in tennis. Al is a multitasker who never seems to have a bad day. His booming voice can be heard as he guides the staff and juniors with unbridled enthusiasm. Al has been my Director of Junior Development for 9 years. Maria began teaching and coaching tennis in 2001 as the assistant coach for the National Champion Central Florida CC team. She has coached high school teams; adult and junior teams and individuals. In 2011 Maria opened Tennis Mania Jr Development, leading Florida's Space Coast into the future with the 10 & Under Tennis initiative. Maria's honors include: State Champion, Florida State Jr Colleges 2000; Marion County Florida High School Coach of the Year 2007; Brevard Co High School and Florida Today High School Coach of the Year 2009; Nominated USTA FL 10 & Under Provider of the Year 2012; USPTA Division Professional of the Year 2013.